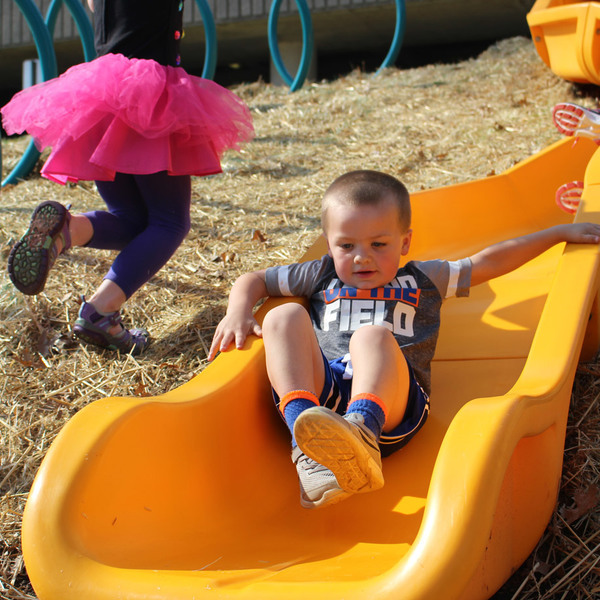 Play Everywhere | Play in everyday spaces | KaBOOM! Kids are born to play: it is an inherent part of their nature. But, when play is not readily accessible, it is often forgotten or does not take precedence over other activities. As a part of inspiring kids to play everyday and incorporate play into their normal routines, KaBOOM! created the innovative idea of "Play Everywhere" – bringing play to unexpected but everyday spaces, making it easy and available for kids and families. Play does not always have to happen on a playground. While playgrounds provide joyful oases for play, sometimes play must be available in other places. 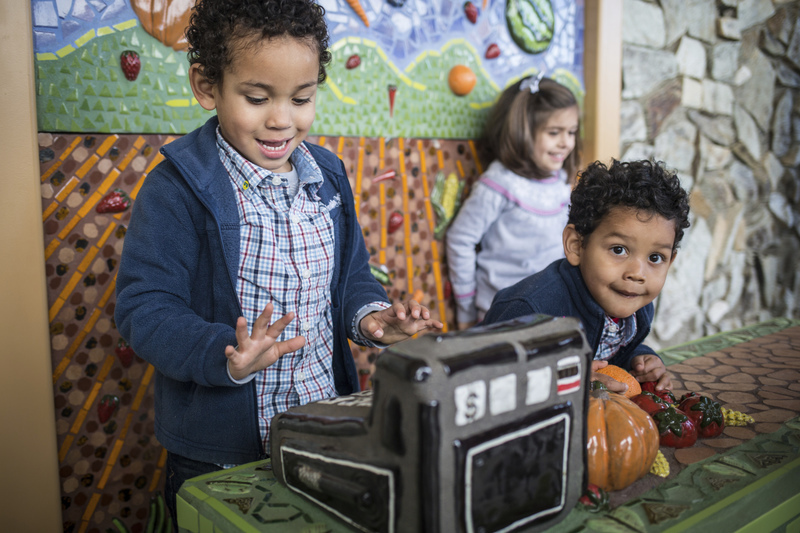 In an effort to include play opportunities where kids already spend time, "Play Everywhere" encourages people to think about spaces that could become PLAYces: whether it's a laundromat, grocery store, sidewalk, bus stop, or somewhere else, these often-boring situations can turn into stimulating, creative outlets for play. Using our play infrastructure expertise, KaBOOM! has created the Play Everywhere Playbook to detail the principals behind the best Play Everywhere concepts and provide steps and examples for putting them into practice. Read the Play Everywhere Playbook. To help more cities use Play Everywhere concepts as a solution for their communities, KaBOOM! has activated our partners (and made new partners) to launch grant programs and challenges to find the best Play Everywhere ideas. 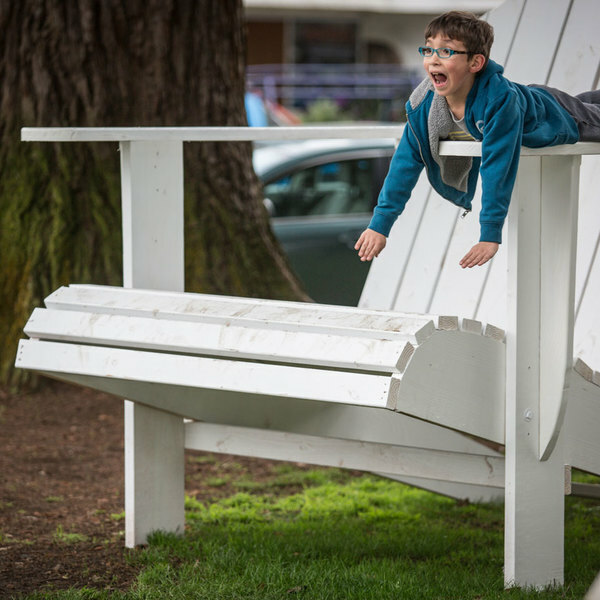 Our gallery of Play Everywhere projects is just a sample of the ideas happening across the US. Browse our gallery to gain inspiration for your own PLAYces-- here are a few examples to get you started. 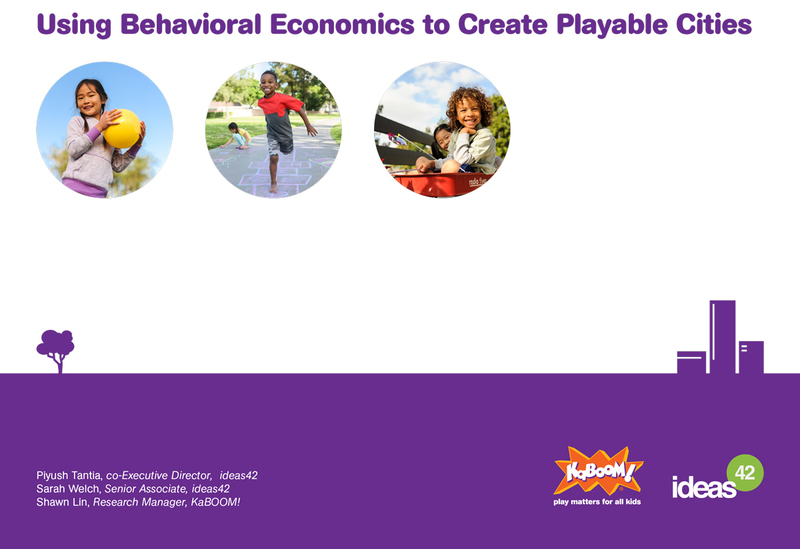 Research developed from KaBOOM! 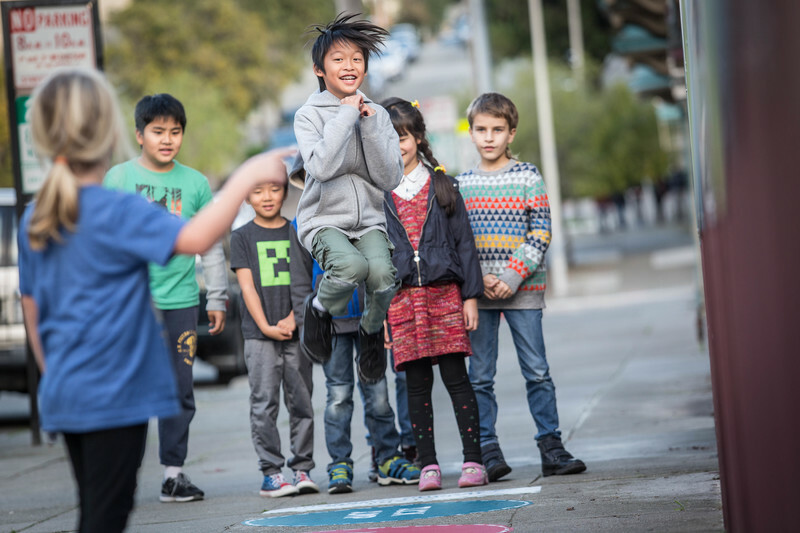 and behavioral economics research firm ideas42 shows that cities must become more playable to ensure that all kids across every socio-economic background are getting the balanced and active play they need to thrive. Together, KaBOOM! and ideas42 published the white paper Using Behavioral Economics to Create Playable Cities. 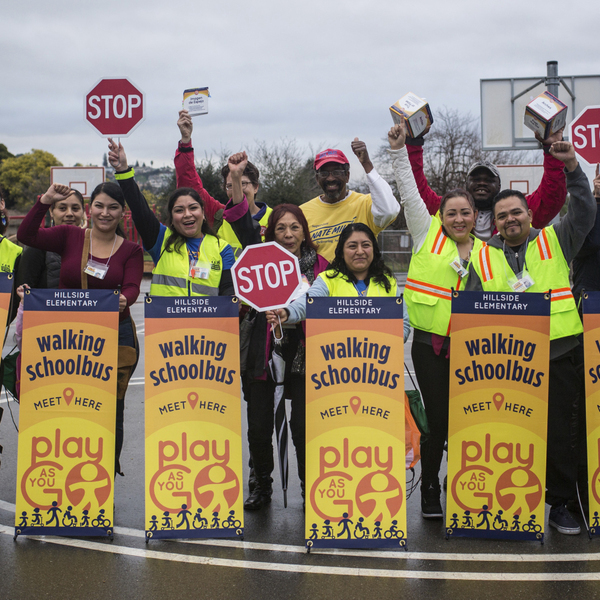 It identifies the behavioral bottlenecks that prevent kids from getting play and demonstrates the solutions cities can take to holistically address them.